Maisie Williams attends Coach 1941 fashion show at the NYSE on February 2019 during New York Fashion Week on February 12, 2019 in New York City. Maisie Williams rounded out her ensemble with a pair of slate-blue over-the-knee boots. Maisie Williams kept it youthful in a loose floral mini dress by Coach during the brand's fashion show. 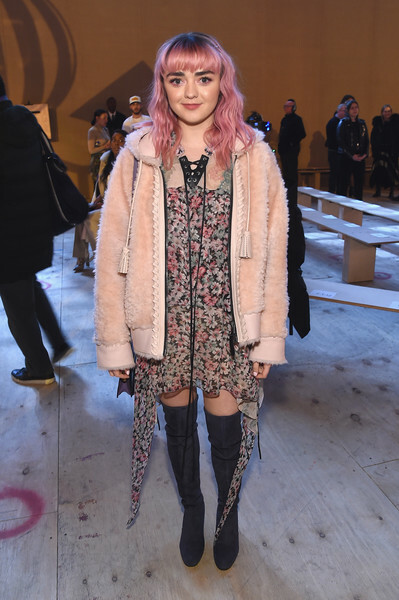 Maisie Williams added some warmth with a hooded pink fur jacket.